Annapolis has many places of interest to check out. 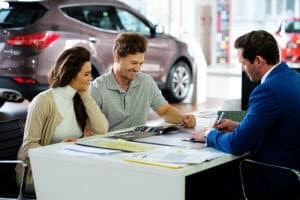 A great way to do this is by driving around in a dependable pre-owned vehicle which you can find at a nearby Annapolis used car dealership, MINI of Annapolis. We’ll go over everything you need to know about our dealership, including our vast inventory, finance professionals, and service experts. Read all about the town and our facilities, and contact us if you have any questions. Annapolis is the capital of Maryland and has a population of about 38,000 as of the 2010 U.S. Census. Since it’s known as the “sailing capital of the United States,” you’ll need to have some sort of fun on the water if you live here or are just visiting. This city is home to three of the world’s largest in-water boat shows that are put on every year: the Annapolis Spring Sailboat Show, the U.S. Powerboat Show, and the U.S. Sailboat Show. These shows not only display impressive-looking vessels, but they also have vendors that sell the latest in electronic equipment, gear, and other essentials that you’d need for your boat. If you’re spectating these shows, then a great way to get to them is in a reliable vehicle, which you can find at our used car dealer in Annapolis. 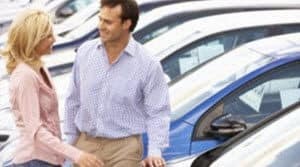 No matter which vehicle you’re interested in, you’ll have a friendly team available to answer any questions you have and help you make an informed decision with a test drive. When you find your ideal vehicle, you’ll need help with the buying process. You can first get started by filling out our secure finance application to get pre-approved. Then, visit our finance experts, who will meet with you one-on-one to go over your budget and driving needs. After we come up with a payment plan that you’re satisfied with, we’ll use our connections with local banks and lenders to get you the loan terms that you deserve. After you drive home in your new car, you’ll want to keep it lasting the years and miles. One way to do this is to take it to our state-of-the- art service center. Our certified technicians have the skills and knowhow to work on all types of vehicles, and we’ll work quickly and efficiently on getting your car in great shape. They use only genuine OEM parts, and can work on any type of service, like a simple oil change or a more complex engine repair. If you need any type of work done on your vehicle, either give us a call or schedule an appointment online. Supply us with some info about your car, including the service you need, and we’ll confirm a day and time that work best for you. 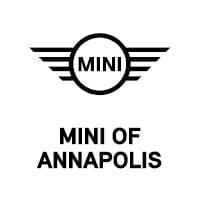 If you’re searching for a used car in the Annapolis area and need help with any part of the car-buying process, then contact us at MINI of Annapolis. We look forward to working with you.